Q.What is a CMS website? CMS or Content Management System websites come with a user-friendly backend (or control panel) interface that allows user to log in and make changes to the content and images of the website. Q.Why do I need a CMS website? Business is always dynamic. And, dynamic (CMS) websites cater to changing business requirements. It’s suitable for those who’d like to take charge and manage the websites on their own. It’s also suitable for users who’d like to add pages on the website while on the go. Q.Can I make changes to the website on my own? A CMS website allows you to make changes to the content and images of the website. As the name suggests, these websites are integrated with a back-end (control panel) interface. One need not be a technical expert to manage the website with its user-friendly backend. Q.Will I be trained to use the CMS back end? 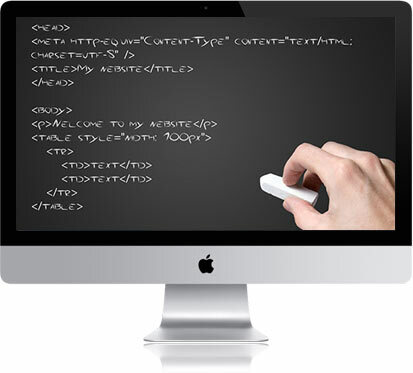 We will provide you with training on how to use the CMS backend. We’ll also supplement you with online tutorials or demo videos if required. Our customers find it as simple as managing their Facebook profile or working on a Word Document. Q.Can you help me with the content and images for the website? We generally recommend our customers to create content themselves as they are the ones who know their business best. But if you need help, we are always there for you. We have a team of professional content writers who can create engaging, informative and search friendly content targeting your business specific keywords. Q.Will I have a blogs section on the website? The beauty of CMS websites is that it gives you the opportunity to start blogging. Blogs are important not just to share information with the customers but also from an SEO perspective. Blogs have become popular off late because Google loves content provided it’s relevant and what could be a better way than blogs. Q.What platform or technology do you use to build CMS websites? There are a variety of platforms available to choose from and we recommend a platform that best suits your business needs. WordPress has gained popularity off late because it’s so versatile and easy to use. Apart from this, there are other platforms like Joomla and CS-Cart for ecommerce websites.